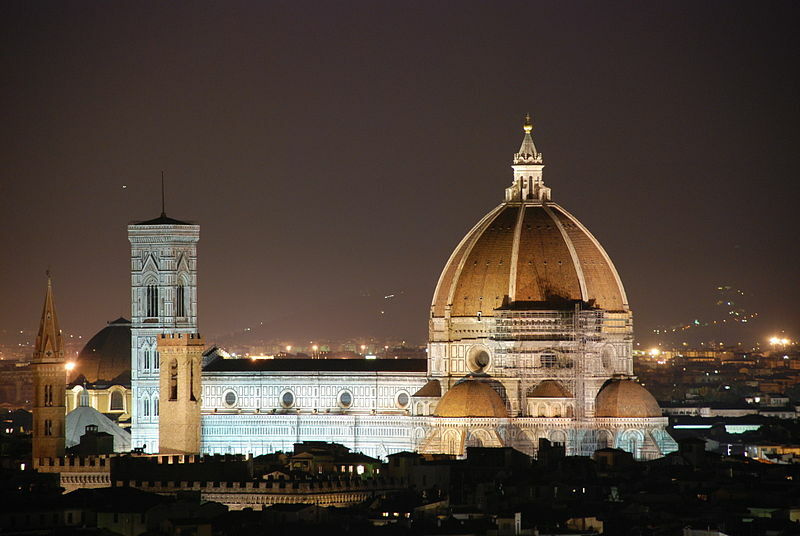 Florence’s Cathedral (and dome) at night — from Wikipedia; I don’t have any photos this good! 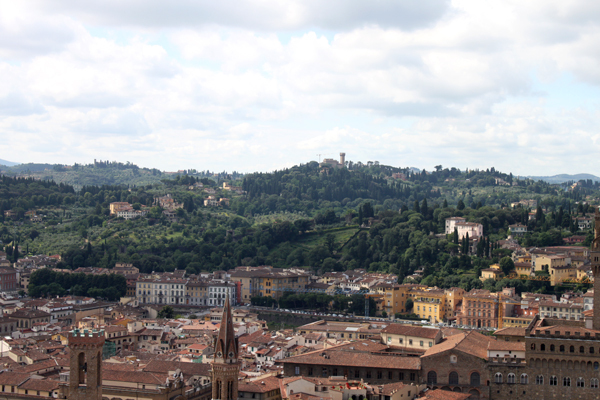 Florence is a small city — at least compared to Rome — and is nestled in the heart of Tuscany. As a result, the food lives up to its reputation and the city is full of Italian charm. Today, it is a hotspot for high-end shopping as well as art buffs. Historically, Florence was a vital center of art, and many of the city’s talent painters, sculptors, and architects were pivotal players in the Italian renaissance. (Florence was also constantly in rivalry with Venice, but more on that later.) 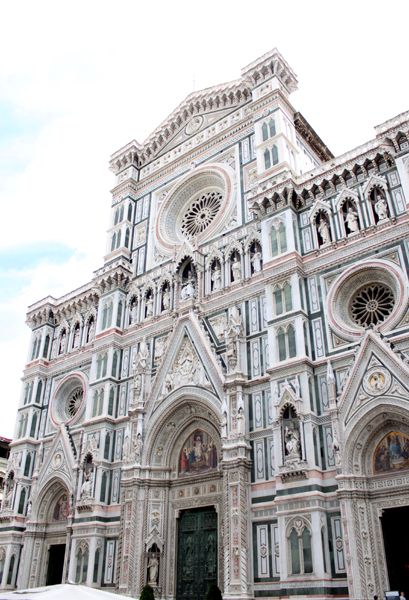 This history is critical in understanding Florence’s duomo. 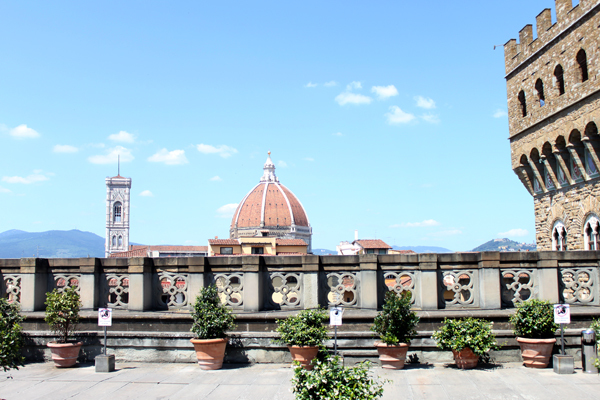 The Duomo as seen from the Uffizi Gallery. So a little history, courtesy of my art history class (and because it’s actually an interesting story): Florence’s dome — a massive structure perched on top of the gorgeous church of Santa Maria del Fiore — was engineered by Filippo Brunelleschi, the winner of a design competition in 1418 (he’s also buried in the church’s crypts). Although the (octagonal) nave of the church was completed in 1380, a dome was never put in place until after the 1418 competition. Why? Because the architects had built a church so large that no engineer knew how to construct a dome so massive. Side entrance to the church. 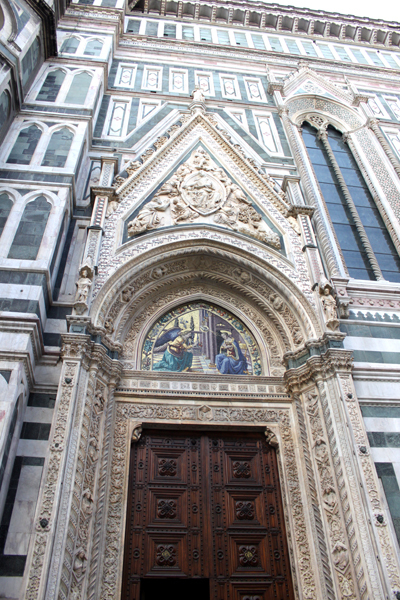 Facade of Santa Maria del Fiore (“Saint Mary of the Flower”). 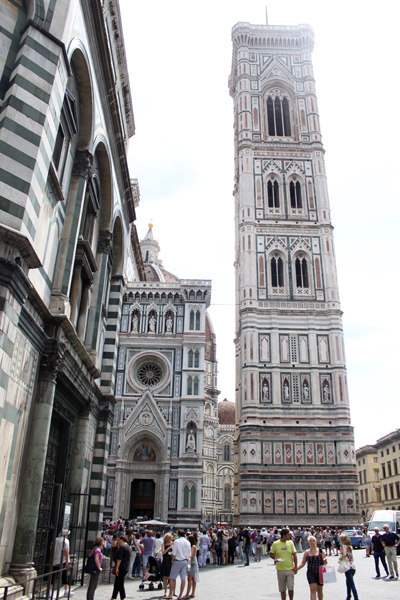 The bell tower of the church — dwarfed by Brunelleschi’s dome, to put things in perspective. Brunelleschi’s dome was finally built, and today a smaller dome is seen from inside the church, while a larger dome faces the outside. This shelled structure allowed workers to climb between the shells of the dome to finish construction — which is how we can climb to the top of the dome today. He also developed a new scaffolding system for workers to build inside the dome, which solved the problem of tool suspension. One of the flying buttresses which support the top of the dome. The duomo was completed in 1436. At the time, it was the largest dome ever constructed and remains the largest brick dome in the world. It is both an architectural marvel and a testament to the ingenuity of Brunelleschi — and it’s also one of Florence’s greatest (literally) tourist attractions. Although not nearly as popular as the Uffizi gallery or the statue of David, the dome was the highlight of my weekend in Florence and well worth the historic climb. 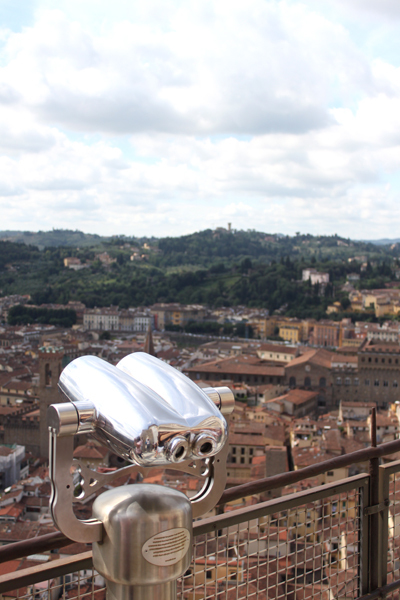 Have you visited Florence or climbed Brunelleschi’s dome? I’d love to hear about your experience! Been there two years ago for the second time in my life. Very touristic of course, but always a pleasure to visit again. Florence is beautiful !! And the food is amazing !!! 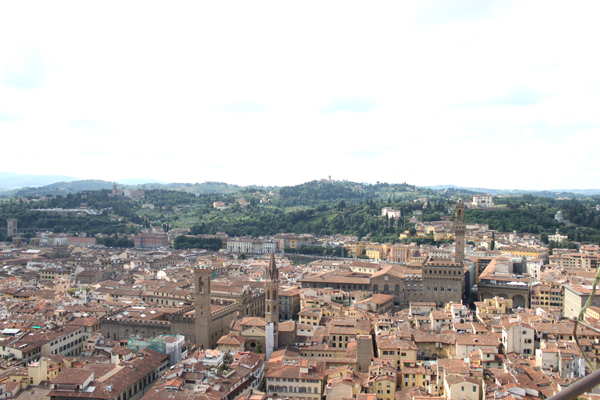 I adore Florence! 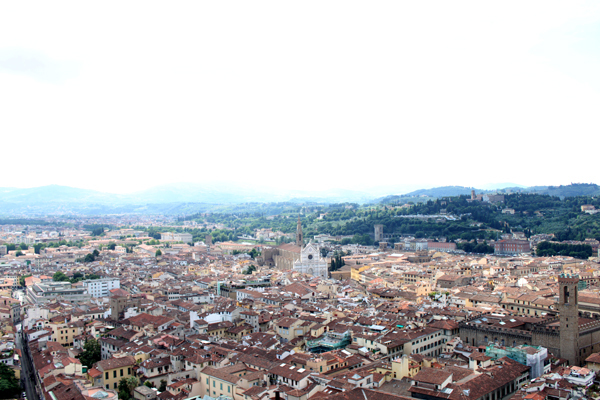 We went for our honeymoon and climbed the duomo one day. 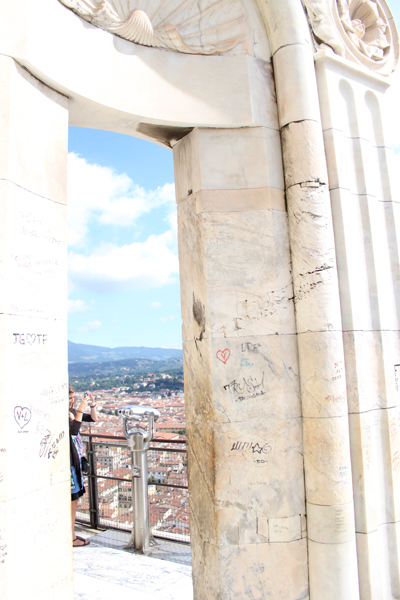 It was definitely a work out but so worth it – such beautiful architecture and view at the top. Loved reading the history above. 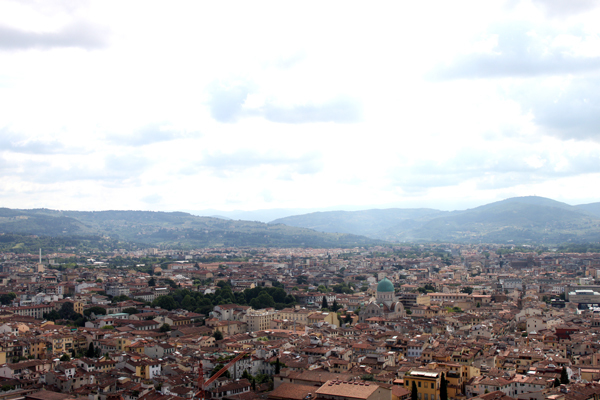 I liked Florence as a whole more than Rome and Venice. Awesome food like you say, so much charm and, to me, the perfect size 🙂 We rented a car one day and explored Tuscany and the coast as well – definitely the way to do it!